Starting in Chamonix, France, this epic hiking adventure passes through the greatest concentration of 4,000-meter peaks in the Alps and concludes in Zermatt, Switzerland, connecting two world-renowned mountaineering centers. On Boundless Journeys’ nine-day Haute Route Hiking tour, you’ll traverse some of the most scenic and rewarding sections of the Haute Route, covering numerous high passes with breathtaking views of glaciated peaks, meandering through Alpine meadows blanketed in wildflowers, and venturing into Swiss hamlets where we experience the charm of Alpine hospitality. Our expert guides will lead you from village to village as you discover a new valley each day and savor simple Alpine pleasures. Enjoy picnics of local specialties beside scenic lakes to fuel your hikes, while delicious meals await you at day’s end in comfortable accommodations nestled in the mountains. Join Boundless Journeys on one of the most spectacular hikes in the world, spanning the Alps from France’s Mont Blanc to the Matterhorn in Switzerland. 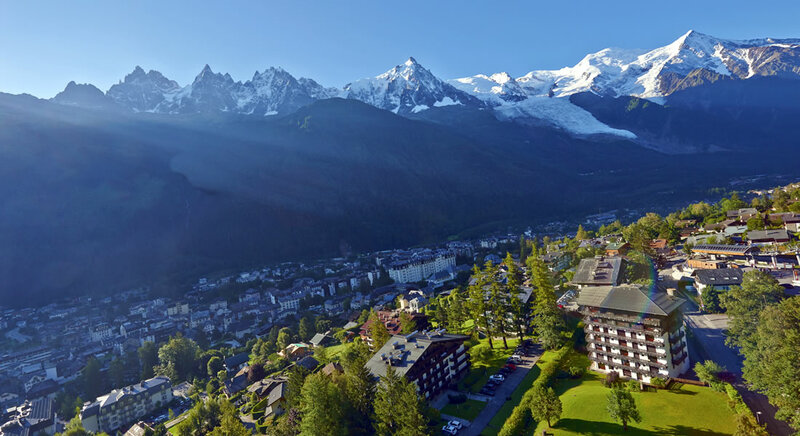 We meet at our mountain hotel in Chamonix, Francea pretty village nestled under the flanks of snow-covered Mont Blanc (15,770), the highest mountain in Western Europe. Chamonix is the mountaineering capital of Europe, and has been a climbing and skiing center for over 100 years. This wonderful town has a charming atmosphere and is well preserved with cobbled streets full of lively sidewalk cafés. We meet our guides this evening for an orientation at our hotel, followed by a welcome dinner at a favorite restaurant in town, brimming with relics of mountaineering history. This morning we set out for a short ride to the small ski village of Le Tour, at the head of the Chamonix valley. Here we ride a gondola and chair lift up La Balme (7,095'). From the top, we take in the spectacular views of Mont Blanc and the Aiguille Verte, before setting off through high pastureland leading us to Col de Balme (7,230'). Our trail takes us over the pass and the French-Swiss border, where mesmerizing views of the impressive Trient glacier greet us. Keeping our eyes peeled for wildlife'the ubiquitous shaggy, dun-colored chamois, and if we are lucky, the impressive ibex'we skirt the flanks of the mountains, occasionally crossing scree. As we round a bend and ascend a rocky path, the Les Grands glacier comes into view. A stone-mountain hut overlooking the glacier is an ideal spot for a picnic today. Following our break, we descend along a narrow, man-made cow path following a natural cleft in a steep rock face. The work that went into its construction is considerable, all to allow herds safe access to their high summer grazing land. As we descend further, we enter a world of larch and pine forests, ending with an easy final stretch along a 'bisse'. These man-made waterways provide irrigation to the valleys below, and this one leads us to La Forclaz (5,036'). Here we are met by our private vehicle and transferred (approximately 1 hour, 15 minutes) to our hotel for the night, tucked at the base of the imposing Barrage de la Grande Dixence, or Grand Dixance Dam. For those interested in grand feats of engineering, a late afternoon visit to the interpretive center at the dam offers a fascinating diversion. Dramatically situated at the foot of the Grande Dixence Dam, this hotel’s isolated location provides the perfect launch into the Swiss portion of our Haute Route hike. The terrase of the restaurant offers expansive views of the Hérens valley. There is the possibility of shared bathroom facilities at this hotel. This morning after breakfast we depart on foot from our hotel, ascending a trail along the side of the dam for about a ½ hour to reach the top. 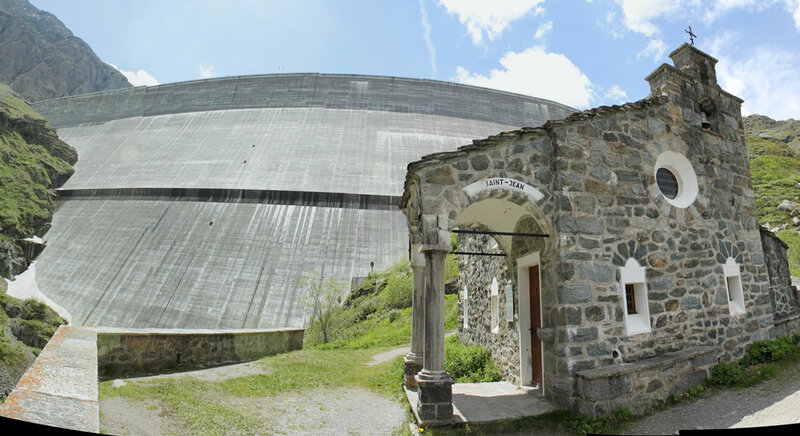 Along the way we stop to rest at a small chapel dating from the 1930s, built by the workers who constructed the original Barrage du Dixence, now submerged beneath the waters of the much grander dam that stands today. As we clear the top of the dam, our hike levels out and meanders through hand-hewn tunnels and along a flat, wide track that follows the western shore of Lac des Dix (7,887'). For the next three miles, we will enjoy taking in our bucolic surroundings of high-alpine meadows, streams, and wildflowers marked by glaciated peaks in the distance. Marmots love this shore and their furry shapes can often be seen darting among the rocks, paired with their sharp alarm call that sounds much like a hawk. After about two hours of easy walking, the trail diverges from Lac des Dix. Our ascent up the Pas du Chat is a steep 20-minute climb, before easing to a more moderate ascent through scree and glacial moraine. The impressive ridgeline of Mont Blanc de Cheilon comes into view, with the sprawling Cheilon glacier fanning out at its base, accompanied by ethereal lakes'a perfect place to capture an image of the mountain's reflection on the water's surface. Soon, we begin our climb up the Col de Reidmatten (9,633'). After a short but quite steep and rocky ascent, we enter through the narrow notch marking this pass, and are rewarded with a stupendous vista of snowcapped peaks, including our first view of the Matterhorn, still far enough away to seem insignificant among the other peaks. Following a well-deserved break taking in this new vantage point, we descend through pastures and forests to Arolla (6,594'), with tantalizing views of Mount Collon and the lengthy Tsijiore Nouve glacier. Set amidst larch and arolla forests, the hamlet of Arolla is one of the smallest villages along the Haute Route. From here, our vehicle is waiting to transfer us to Les Haudères (4,763'), a quaint village brimming with history, comprised of typical Valaisian chalets and hay barns, and our home for the evening. If you have the energy, you may stroll the quiet streets. If not, c'est bon: Simply find a local pub and enjoy a cup of tea or a well-earned beer before dinner at our inn. Exuding traditional Valasian charm, Hotel les Melezes is a quaint family-run chalet in the historic village of Les Haudères. True to local style, the chalet’s balconies overflow with bright flowers, with the backdrop of the alps. The Swiss village center is just a short walk away for an exploration of local flavor. This morning a short transfer brings us on a switchback farm road above the valley, where we set out on our hike from the tiny hamlet of Villa (5,623'). We ascend through bucolic pastureland towards the Col de Torrent (9,570'). As the Col grows nearer, the pitch steepens a bit and switches back and forth on a well-formed trail across scree for the final 20 minutes to the pass. This lovely plateau is a great spot take in the nearly 360-degree views spanning from the now-distant French border, north to the Bernese Alps, and down into the Rhône Valley far below. Looking east, toward Zermatt, we see the jade-green Lac de Moiry below. Heading down from Col de Torrent into rolling high pastureland, we are enchanted by the feeling of being truly immersed in the Alps. The panorama of rising peaks and glaciers over the spectacular lakes provides yet another picturesque setting for an alpine picnic, and we happily linger over our baguettes, cheeses of the region, local meats, and fruit. Of course, no proper Haute Route picnic would be complete without a bit of Swiss chocolate! After lunch, we continue to Lac de Moiry, crossing the dam at its base. From here, we'll transfer to Zinal for our overnight (about 40 minutes), perhaps stopping en route to briefly explore the historic center of nearby Grimentz, with its quaint cobbled streets, creperie, and small craft shop. 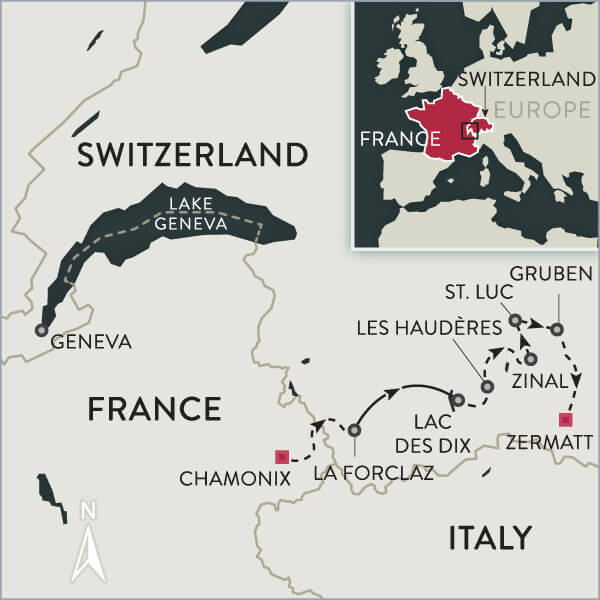 Located in the bustling town of Zinal, Hotel Europe offers fine Swiss hospitality, and a haven of comfort after a long day of hiking. Rest your legs in the hot tub and sauna, and enjoy the impressive views of the surrounding peaks. 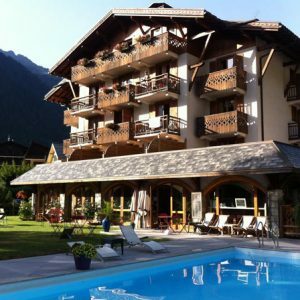 The hotel features Chez Remy, regarded to be the best restaurant in Zinal, with a terrace overlooking the mountains. This morning we enjoy some leisure time, before departing on foot from town for our hike. Today begins with an ascent through the forests surrounding Zinal, eventually bringing us to a beautiful ridgeline trail leading to Saint-Luc. We are rewarded with panoramic views of the Zinalrothorn, the Matterhorn's summit looming high, and the Dent Blanche. There is ample time to photograph these impressive peaks with a shorter hike today, a welcome respite as we enter the final stages of our Haute Route traverse. With some gentle rising and falling, we make our way to a viewpoint above town of Saint-Luc, at the well known (and well worn!) 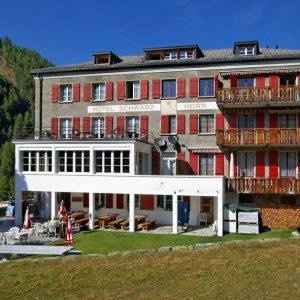 Hotel Weisshorn. This is a lovely place to stop for refreshments overlooking the valley, but for the evening, we'll descend either on foot or by funicular to the town of Saint-Luc, where we spend the night enjoying more comfortable accommodations in a picturesque mountain setting. A historic 19th century 4-star hotel centrally located in Saint-Luc. Bella Tola has been an exceptional icon of hospitality of Saint-Luc for 150 years. 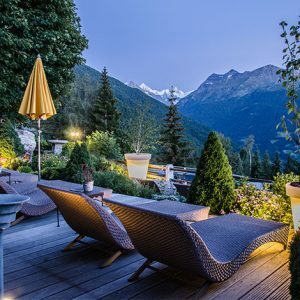 After a full day on the trail, enjoy the fabulous spa and swimming pool, followed by a fine Swiss dinner in their renowned restaurant "Chez Ida". Bella Tola offers a welcome respite providing a lap of luxury along the Haute Route. Today we return to yesterday's trail by funicular, and hike through high, stony pastureland toward the Meidpass (9,207'). 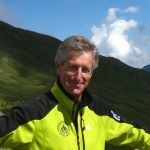 As we navigate a scree slope to the stony saddle, we leave the French-speaking part of Switzerland and enter into the German-speaking part, distinctly different both linguistically and culturally. From the top, we glimpse back to Mont Blanc, where we set out several days ago, now seeming a world away. From Meidpass, we wind our way down (somewhat steeply at first) through high meadows, alpine lakes, and pine forests to the tiny village of Gruben (6,013') and our historic hotel. We again enjoy an afternoon of relaxation, relishing the peaceful nature of this isolated farming settlement. The only hotel in the tiny hamlet of Gruben, this historic property has been recently renovated. Rooms have shared baths on each floor, and the restaurant features local, simple fare. 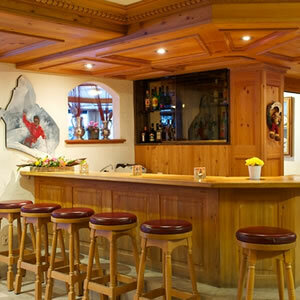 The lively bar offers a fun atmosphere for the evening. Our penultimate day of hiking is considered to be some of the most breathtaking scenery encountered along the Haute Route, and the tremendous beauty undoubtedly will mesmerize us more than once. We begin with a gradual, roughly three-hour climb over a scree slope, to the Augstbord Pass (9,494'), which was used during the Middle Ages as a trading route linking the Rhône Valley and Italy. Crossing this final pass of the hiker's route from Chamonix to Zermatt is a highlight that leaves us feeling overwhelmed with a sense of accomplishment. There are few other passes in all of Switzerland that rival the views from atop Augstbord Pass. On our descent we gain glimpses of Zermatt in the distance, while turning back to revel in the mountain wilderness we hiked through over the past week. Coming across the tiny hamlet of Jungen reminds us of the rugged nature of eking out an existence in this alpine landscape, and we are left with a bittersweet feeling as the inn-to-inn portion of our Haute Route hiking tour comes to an end. From Jungen, we make our way to St. Niklaus where we transfer to Zermatt. This evening may enjoy dinner at a one of the many restaurants in town. 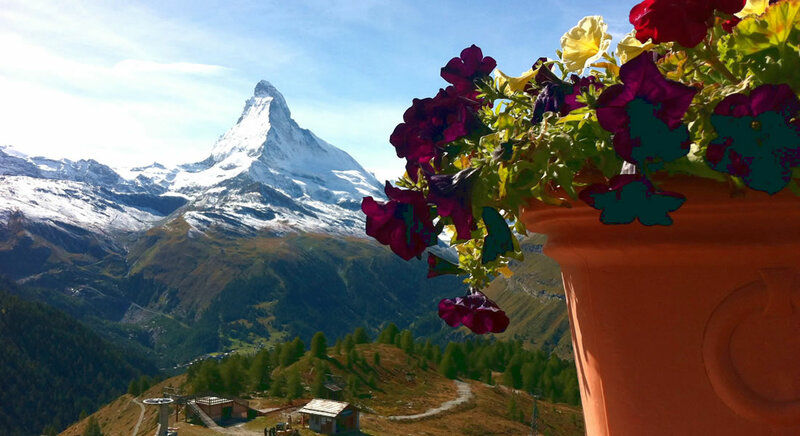 Situated in the center of bustling Zermatt, Hotel Matterhornblick offers friendly service and easy access to hikes, shopping, and restaurants of the town. Enjoy the lounge and restaurant with incredible views of the iconic Matterhorn. The inviting spa featuring a sauna, steam bath, hot tub, and massage — a fine way to celebrate your journey from Chamonix. Today we relish having the most challenging hikes of our trip behind us. The hiking options from Zermatt are many, and our guide will have one in mind that will suit the group and the weather conditions. 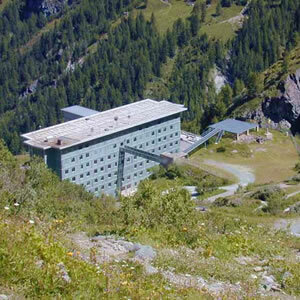 Perhaps we will use the extensive lift system to access higher ground and do a hike in the vicinity of Fluealp. From here we enjoy spectacular views above the mountains forming the northern border of Italy, including Monta Rosa, and across the Zermatt valley to the unforgettable Matterhorn. For those who prefer, one can easily relish a very pleasant day exploring the bustling streets of Zermatt. Shops ranging from crafty to couture line the traffic-free streets, sunny café patios beckon, and the mountaineering museum in the center of town provides an interesting background on past feats. Later this afternoon, we gather to celebrate our accomplishments with a farewell dinner in town. Our trip ends after breakfast, and you are free to continue your exploration of Zermatt, or depart for your next destination. Boundless Journeys' trips are designed for energetic and flexible individuals who like to be active and have a spirit of adventure and a positive attitude. 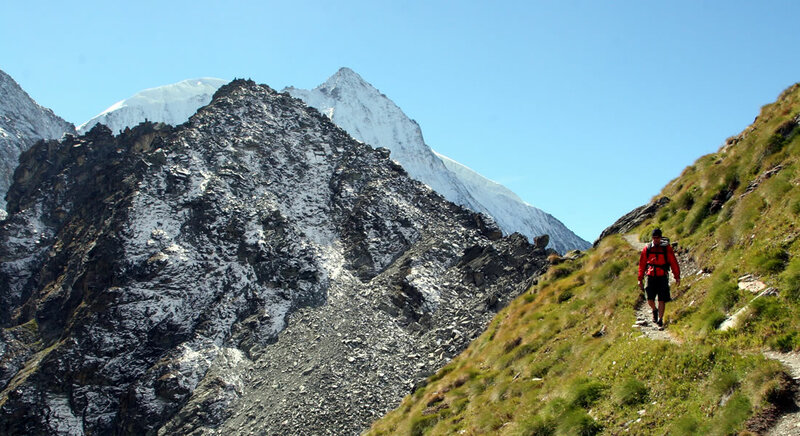 The hikes on France & Switzerland: Haute Route Hiking range from 4-8 hours. The terrain is mixed, with both gradual and steep sections encountered on most days. Hikes are on unpaved paths and trails, with minimal vehicle support. Trails, at times, may be wet, slippery, steep, and/or rocky. Although unusual during the summer months, it is possible to encounter snow on the trail at any time of year. Trail conditions are primarily packed dirt trails with roots or rocks throughout, and uneven terrain underfoot, thus requiring agility and stable footing. We request that you bring hiking boots with full ankle support and two trekking poles, which help provide comfort, stability, and most importantly, enjoyment. Our hikes take us through farmland, forest, rocky glacial terrain, and over mountain passes. Terrain varies greatly, including a mix of wide dirt paths, hiking trails with rocks and roots, rough, large rocky steps, loose scree, and shallow stream crossings. Each hike includes sustained climbing and descending, sometimes steeply. The route travels through some limited explosed sections, and is not recommended for those suffering from vertigo or a fear of heights. Feel free to call our office for further details. 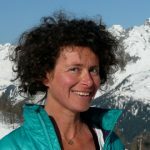 Your guide(s) will meet you at 6 p.m. on the first day of the trip, in the lobby of our hotel in Chamonix. Zermatt, Switzerland, after breakfast on the last day of the trip. Please note that transfers to the Geneva International Airport take approximately 4 hours by train. Please plan your flight schedule accordingly. Being an alpine environment, weather is variable throughout the day and by elevation. A warm, sunny day in the valley can be anywhere from delightfully refreshing to downright brisk at higher elevations. Therefore, dressing in layers will be essential to your comfort throughout the day. Rain is possible at any time, and weather conditions can change rapidly in the mountains, so having rain gear on hand is also advisable. At the same time, the sun is strong at higher elevations, and therefore adequate precautions should be taken to prevent sunburn, even on cool, sunny days. On average, the temperature in July is 76°F for a high, and 58°F for a low; and in June and August these numbers are about the same. 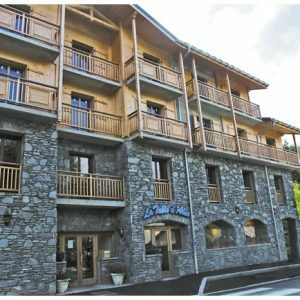 The hotels we stay in are rustic, well located for hikers, and busy in the summer season. 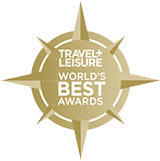 There is a range of accommodations on this tour, and although they are not 5-star resorts, they are a standard above what is typically offered on this route. The rooms are clean and comfortable, but are not always of uniform size or amenities. Although most inns will offer rooms with en suite baths, this cannot be guaranteed for all nights of the tour. You'll enjoy plenty of local cheeses and wines and most menus will feature soups, pasta, fish, meat, and traditional Swiss dishes such as raclette and fondue. Breakfasts, lunches, and all but one dinner are included; your guide can make recommendations for wonderful local restaurants for the evening where dinner is not included. Most dinners are at our hotels, and consist of hearty mountain fare. Lighter dishes appear on some menus, including freshwater fish such as trout. Vegetarians can be accommodated with advance notice, though choices tend to be more limited. Moderate to strenuous inn-to-inn hiking, 4-8 hours per day with daily ascents and descents of 1,000-4,400 feet.